Charles Hindmarsh began his musical career playing violin in Harrogate orchestras and tuba in both Tewit Youth Band and Harrogate Granby High School Concert Band. He then went on to study music at degree level. Over a period of 40 years he has played tuba for bands such as Harrogate Band, Wetherby Silver Band, The Yorkshire Evening Post Band, Lindley Band, Garforth Brass, Lofthouse 2000 and Strata Brass. 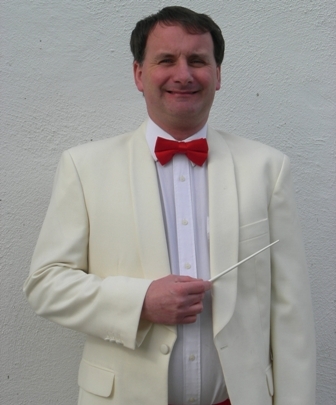 He was appointed as the Musical Director of Summerbridge and Dacre Silver band during 2013. He is also conducted Garforth Jubilee Brass, Knareborough Silver Band, Howarth Brass Band and Golcar Brass. As well as playing conventional instruments, he is also known for playing unusual instruments such as the musical saw playthesaw.co.uk in a range of events across the country, including appearing on Britain’s Got Talent.